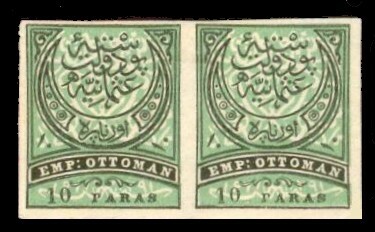 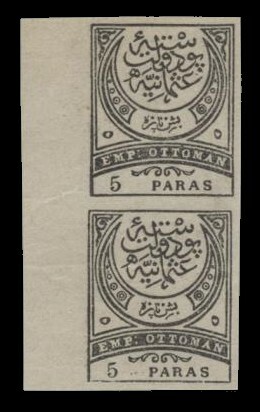 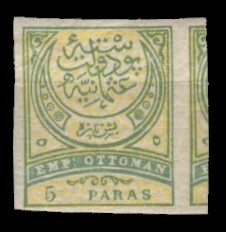 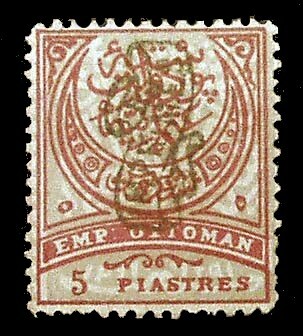 OTTOMAN STAMPS CROSS REFERENCE LIST by: Yannis Stantzopoulos. 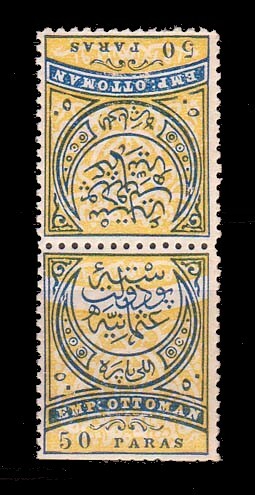 104 TTB 50 paras yellow-blue 13 1/2 Tete beche head to head background design inverted in one stamp. 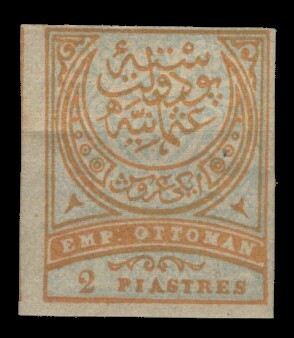 105 TTB 2 piastres vermillion-black 13 1/2 Tete beche head to head background design inverted in one stamp. 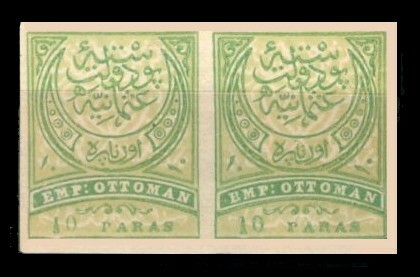 106 TTB 5 piastres blue-red 13 1/2 Tete beche head to head background design inverted in one stamp. 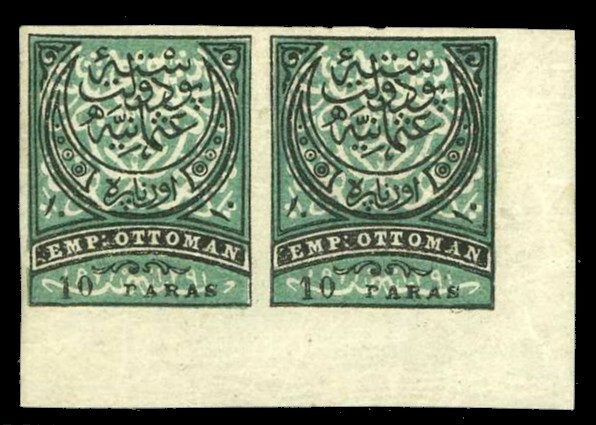 110 TTB 10 paras green-black Non perforated Tete beche head to head background design inverted in one stamp. 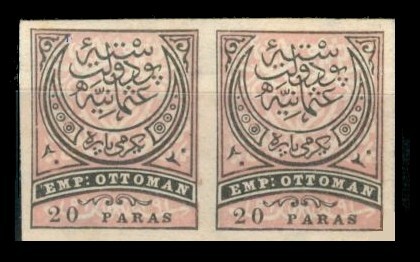 111 TTB 20 paras pink-black 13 1/2 Tete beche head to head background design inverted in one stamp. 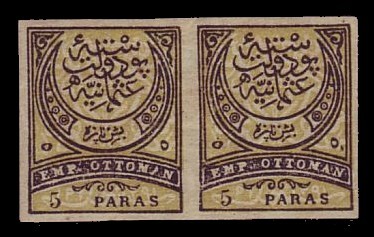 111 TTB 20 paras pink-black Non perforated Tete beche head to head background design inverted in one stamp. 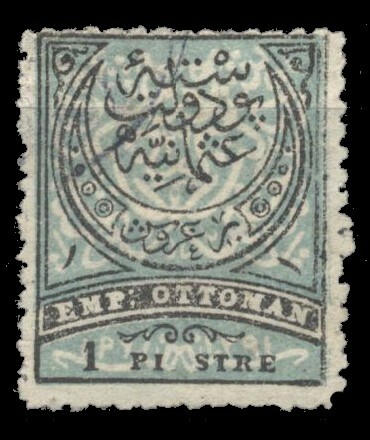 113 TTB 1 piastre blue-black Non perforated Tete beche head to head background design inverted in one stamp. 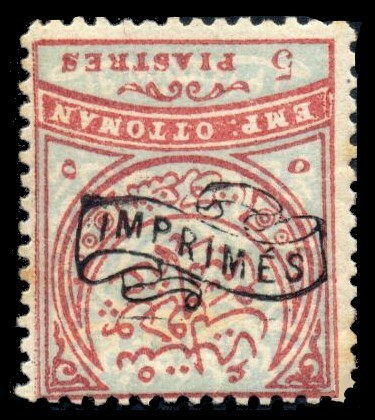 113 PE 1 piastre blue-black 13 1/2 Missing "A"